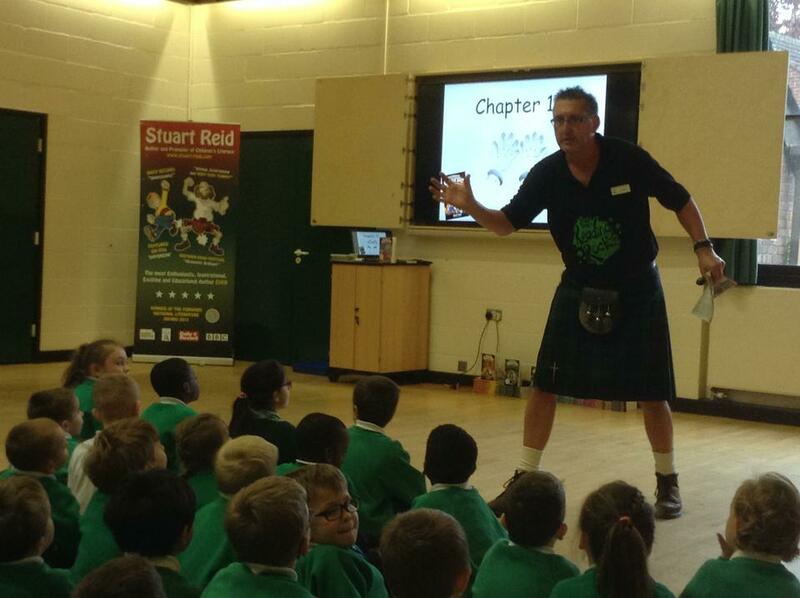 Award-winning Scottish author Stuart Reid had pupils at Elsenham in fits of giggles as he told them about his books and writing. The full-time author came to school on Tuesday, 21st November as part of Literacy Week, which aims to boost the children’s love of reading and writing. 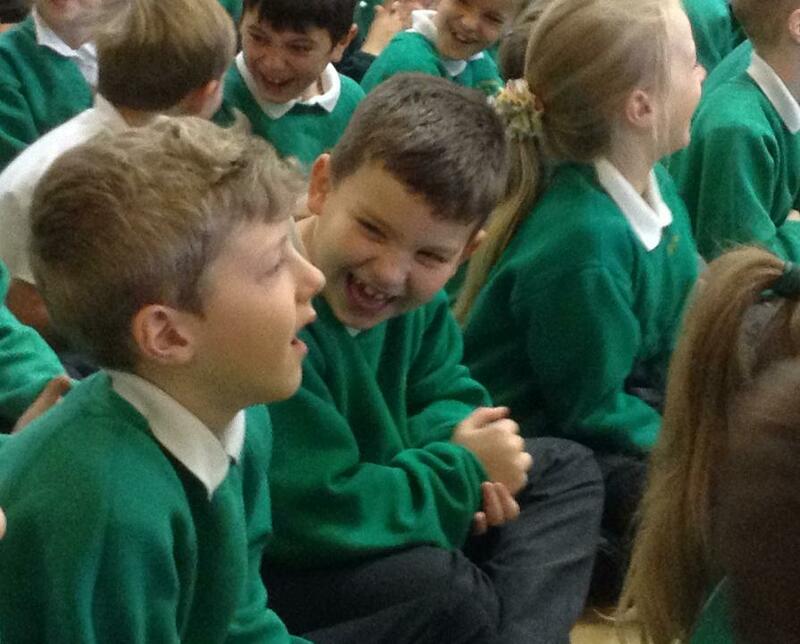 Every child left the hall with a clear understanding of what alliteration was and were inspired by his animated book readings and funny stories. The former businessman turned author, told the children about his life and his Gorgeous George series of books, which they had a chance to buy and have signed after the workshop. The assembly was followed by a workshop for Year 6, 5 and 4 pupils, focusing on their story-writing skills. The rest of the children then returned to their classes, avidly or discussing reading their newly-purchased Gorgeous George books. 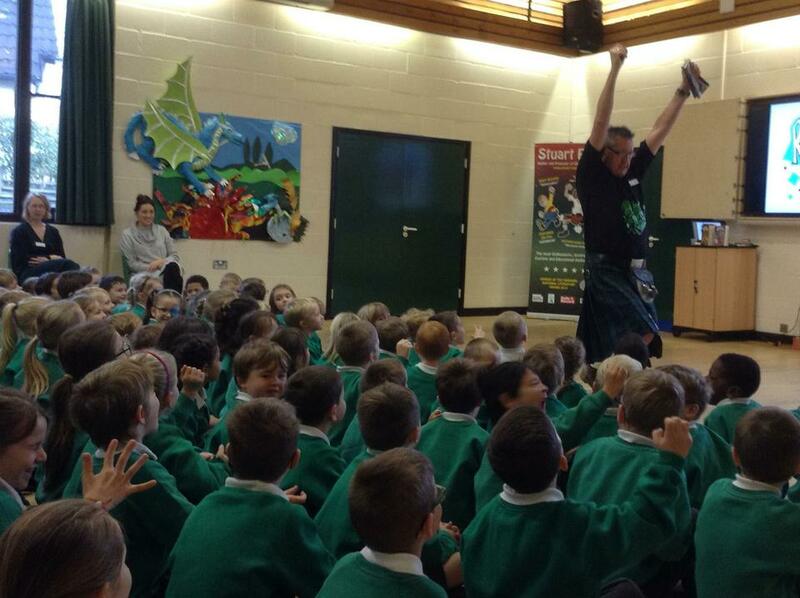 In 2014 Stuart was presented with the ‘Enterprise in Education Award’ from Falkirk Council for his work in schools, and his debut novel was selected for the Silver Seal at the Forward National Literature Award.